Established in 1911, McPhillips, Fitzgerald & Cullum, LLP has served clients longer than any other law firm in the Greater Glens Falls region. 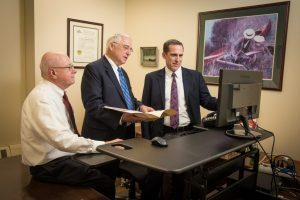 A proud and long standing tradition of hardwork, straightforward dealing and loyalty to clients makes the firm a cornerstone of the Southern Adirondack legal community. We represent individuals and businesses in all types of lawsuits.